Charles F. B. McAleer, Jr.
Charles McAleer counsels and defends business entities facing complex commercial disputes, including director and officer liability, corporate governance, entity control, civil fraud, contract, business tort, unfair competition, trade secret, intellectual property, Civil Racketeering Influenced and Corrupt Organizations (RICO) Act, professional liability, securities, real estate and employment-related claims. During his career, Mr. McAleer has represented business entities across a variety of industries. The unifying feature of Mr. McAleer’s practice has been CAP® or “Critical Asset Protection”: minimizing risk and maximizing opportunity for companies by protecting their most critical assets, such as human capital, trade secrets, confidential information, technology, contracts and business relationships. He has dedicated his practice to finding successful, cost-effective, and timely solutions to business disputes. 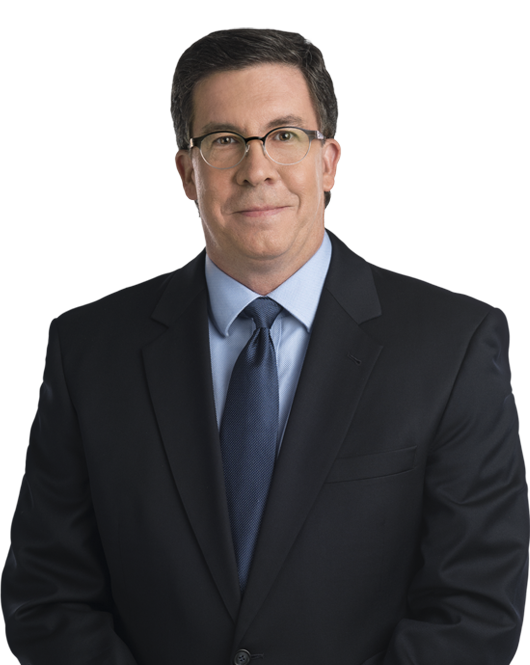 Mr. McAleer also has extensive experience in prosecuting and defending claims involving foreign entities and individuals, including the litigation of personal jurisdiction issues, obtaining and opposing evidence located abroad through international treaties and conventions, and conducting depositions outside of the United States. He has appeared as trial and appellate counsel in both federal and state courts, as well as in several intellectual property disputes before the U.S. International Trade Commission (ITC). He is a permanent member of the Fourth Circuit Judicial Conference. Mr. McAleer was a long-time member of the Board of the Bar association for the United States District Court for the Eastern District of Virginia (Alexandria Division), known as the “Rocket Docket,” where he has practiced for over 25 years. From 2010-11, he served as the President of the Bar Association, and for many years he was the editor of the “Rocket Docket News,” which is the official, award-winning publication of the Bar association. He is the author of various articles in the American Bar Association’s Business Torts Journal. Published appellate opinions issued in cases in which Mr. McAleer successfully represented business clients include: Cordant, Inc. v. Ogden Government Services Corp., et al., 493 S.E.2d 512 (Va. 1997), in which the Virginia Supreme Court expressly rejected adoption of promissory estoppel as a cause of action in Virginia; and RTC, as Conservator for Commonwealth Savings Bank v. Maplewood Investments, et al., 31 F.3d 1276 (4th Cir. 1994), in which the Fourth Circuit rejected the application of federal common law to deficiency claims asserted by the Resolution Trust Corporation (RTC) against a partnership and certain individual guarantors. In this article, firm Member Barry Pollack* is mentioned in a Law360 round-up of the first week of 2015's "Legal Lions and Lambs," or noteworthy wins and losses. This event, sponsored by the Northern Virginia and District of Columbia chapters of the Federal Bar Association, will focus on the admissibility of internet and electronic evidence. Welcome to Volume III of Executives at Risk: Navigating Individual Exposure in Government Investigations. Welcome back to Executives at Risk: Navigating Individual Exposure in Government Investigations. Chas McAleer is one of the editors of The Rocket Docket News.